Here you can understand about the Play framework. The section is organised as different sections from Basics of Play Framework to Advanced topics of Play Framework like testing and integration of Play framework. 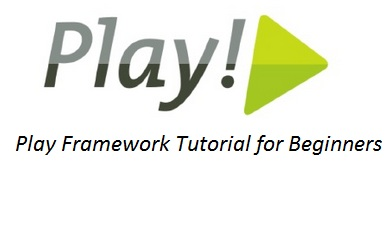 For pdf guides on play framework, refer Play Framework pdf guides. For interview questions on Play, visit the Play framework Interview Questions. Play Framework is a web application framework from the Typesafe Reactive Platform. Play Framework is build using java and Scala. Play framework is build as an alternative to the the normal java web frameworks. Hope this page was useful to learn more about Play framework.